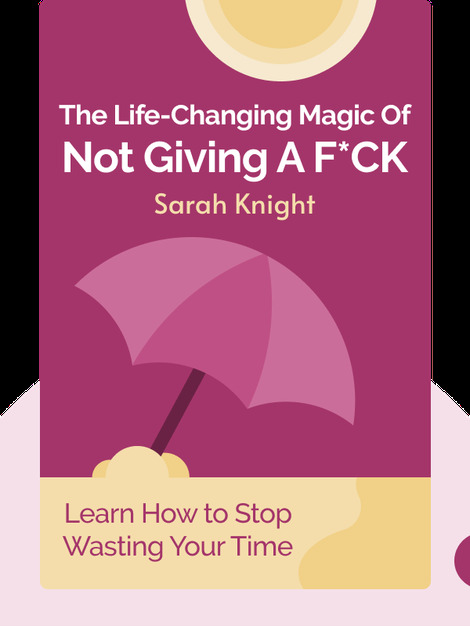 The Life-Changing Magic of Not Giving a F*ck (2015) is your definitive guide to freeing up your time, money and energy. These blinks teach you how to stop caring about the things that don’t serve you so you can focus your attention on the parts of life that bring you joy. 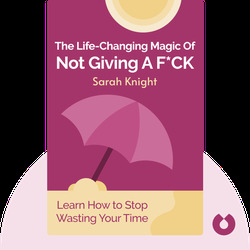 Sarah Knight is an American freelance writer and editor. She holds a degree from Harvard University.